Instead, it has evolved into something eye-pleasing and iconic. Call it whatever you want: lush, soft, simple, smooth, HD, cartoony... it's whatever it needs to be to make Minecraft look like the game it ought to be. 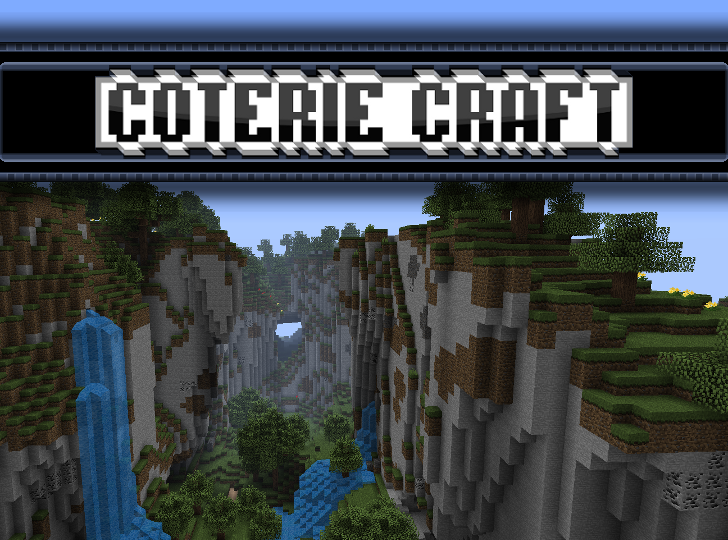 Coterie Craft intends to improve the appearance and fervor of Minecraft by giving it the textures it deserves, and that goal has been preserved thanks to the efforts of those who continue my pack: Ganlolde and karst. This pack holds its original inspiration from ExtraNoise's QUANDARY PACK, which featured work from Bonemouse as well as myself, Cpt. Corn.